As our name suggests, we are passionate about safe and fun doggie day care. A "playbow" is a downward stance or posture used by dogs to signal friendly intentions, incite play or continue play behavior. All of our Canine Specialists undergo extensive learning and training for dog safety in an off-leash environment. Learning begins with a 20+ hour training program developed by The Dog Gurus, followed by close supervision from more senior Canine Specialists. Our senior Canine Specialists are experienced dog trainers who have attended the Trish King Academy of Dog Behavior, as well as numerous other dog training classes and seminars. Lindesay Greene, General Manager, is a graduate of the Trish King Academy of Dog Behavior, and has over 15 years of animal care experience — working at a local zoo, fostering rescues, and supervising multiple daycare and overnight facilities. 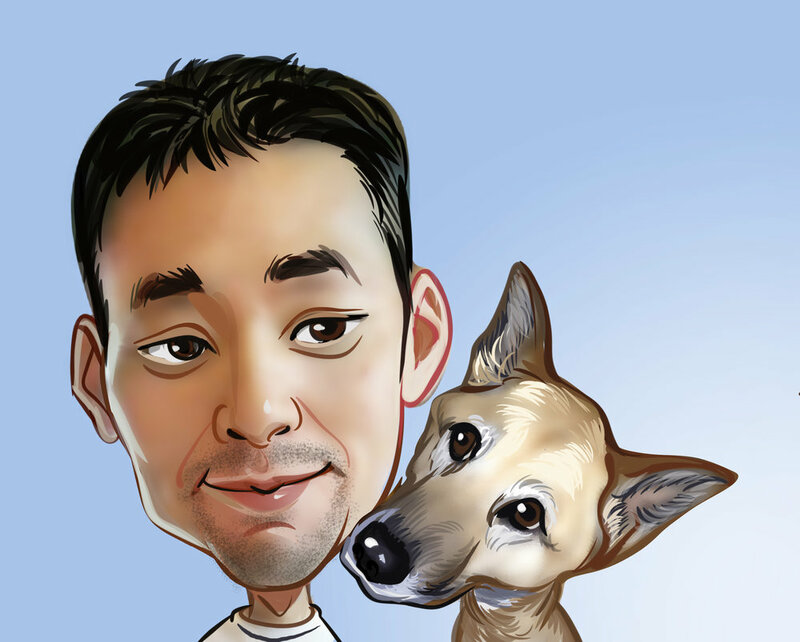 Raymond Yu, PlayBow Artist, is a graduate of the Trish King Academy of Dog Behavior, and has extensive experience working at local shelters and daycare facilities. Jennifer L., Canine Specialist, is a graduate of UC Davis who spent much of her free time at the Sacramento SPCA training shelter dogs. She has completed the Dog Gurus' safety program, as well as numerous courses in animal biology and zoology. Thalia A., Canine Specialist, is the proud parent of a Malti-Poo mix. She is passionate about theater, and enjoys learning from the dramatic antics of dogs. She has completed the Dog Gurus' safety program, and has a keen eye for sanitation and keeping PlayBow clean. Our daycare service is tailored to the needs of your dog. Some dogs need maximum play time, while others prefer neighborhood walks, while others love to work for food as part of our daily training games. When it's time for group play, we carefully select playmates who are a good fit for your dog. This matchmaking service is the key to introducing your precious pup to lifelong furry friends. Our daycare service also includes a $500 Medical Emergency Action Plan. This provides payment of veterinary bills up to $500 for injuries caused as a direct result of attending daycare. Our overnight sleepovers provide our guests with a full day of daycare. At the end of the long play day, our guests spend the night in the home of our Canine Specialists, where they will have accommodations similar to their own homes. Upon sunrise, our guests return to PlayBow for another fun-filled day of games and play. Our facility is located between SF State and City College at 1410 Ocean Ave — just a few minutes off I-280. We are currently offering a delivery taxi service for certain neighborhoods. Please call or email us for details. We feature two separate playrooms — one for small dogs, and one for larger dogs. 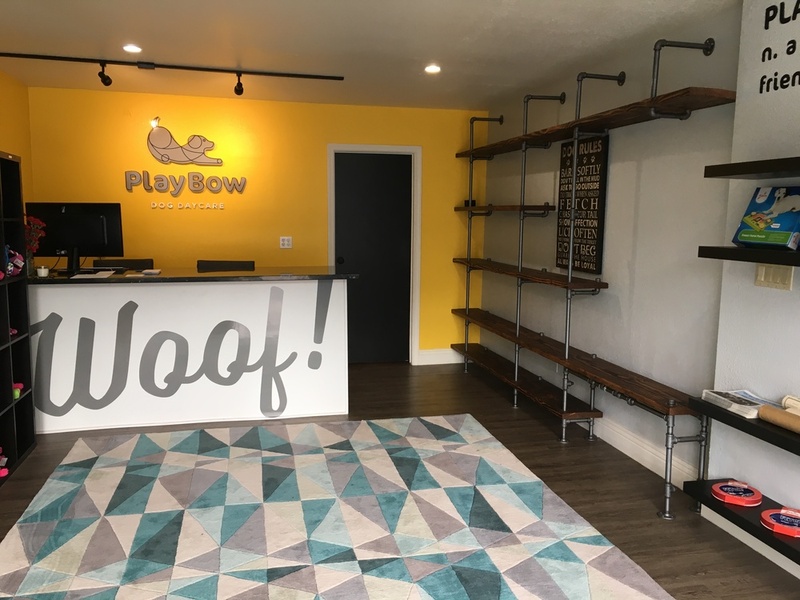 The playrooms are equipped with rubber or foam mats to provide plenty of cushioning for your dog's running, jumping, wrestling, and lazy down time. Parents can drop off their dogs as early as 7AM and pick up their dogs as late as 7PM Monday thru Friday. From 7PM to 8PM, a late fee of $20 applies. Weekend sleepovers are available by appointment. We want to give dogs in our neighborhood the best possible quality of life. To achieve that, our goal is to provide the very best in Play, Practice, and Peace of Mind. PLAY — Play is a key component to a healthy and happy dog. Play naturally provides exercise and safe socialization with other dogs, which can greatly enhance your dog's quality of life. PRACTICE — Practice makes perfect. At PlayBow, we help with practicing your dog's basic obedience training, and the social skills needed for safe interactions with other dogs. PEACE OF MIND — We do all that we do so you can rest assured that your dog is safe and enjoying its stay while you're away. At PlayBow, we recognize that there are just as many dog personalities as there are people personalities. To help each dog feel as comfortable as possible with his or her playmates, we keep playgroups small, and closely monitor each dog's body language. Rather than lump together all large dogs, and all small dogs, we get to know each dog's personality, who their best friends are, and play matchmaker. We aim to deliver the best doggie daycare experience for you and your dog. If for any reason you are not satisfied with any of our services, please let us know and ask for a refund. We will provide a complete 100% refund for any services rendered within the last 30 days. To see recent photos of our dogs at play, visit and follow us on Instagram.